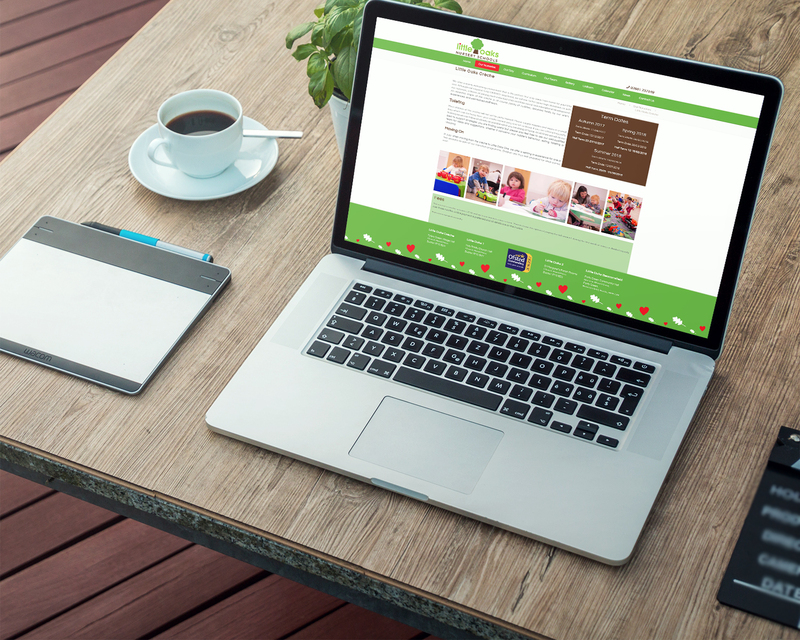 Ruthie Pocock had owned and run children's nurseries for many years when she came to us, and over that time she had had various iterations of a website, but this time round she decided to commission Three Girls Media as a result of our expertise in websites for nurseries and kindergartens. She had seen many of our designs for other nurseries. 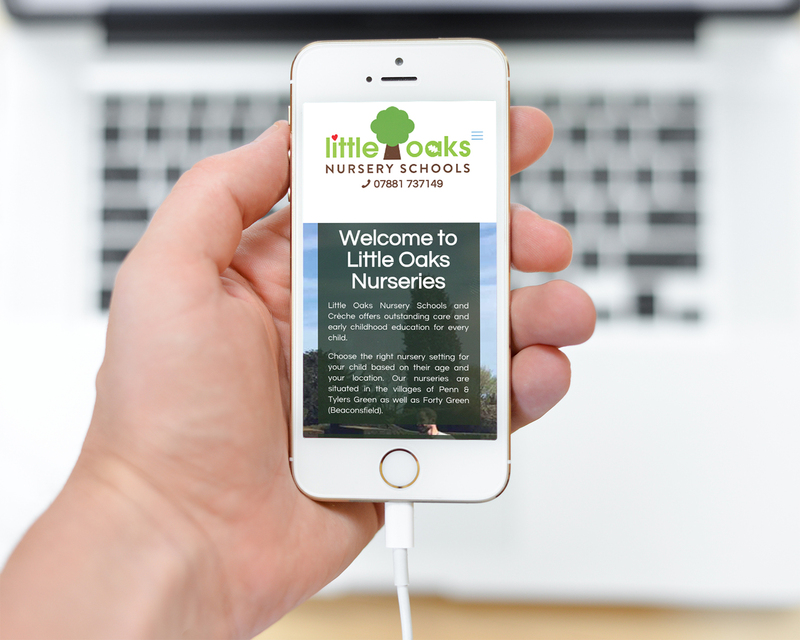 Ruthie was in the process of acquiring her fourth nursery as part of the Little Oaks group, and wanted to merge two outdated websites. She had a great logo in place, and wanted to emphasise the focus that her nurseries place on education and the outdoors. As all of the nurseries are within a small catchment area, she also wanted to be able to show the physical relationship between them all. 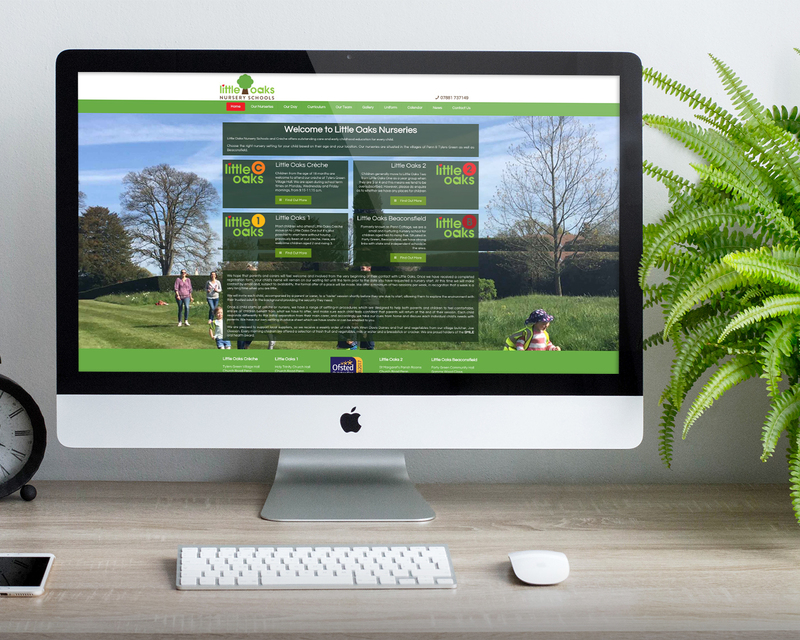 With good technical skills and a great team, Ruthie also wanted the freedom to update her site regularly and to provide news updates to parents. In particular, she wanted the calendar for all four nurseries to be published online in order to save administration time reminding parents of important dates.